La Cité du Cinéma is located at Saint Denis II on the old site of 1930’s Art Deco style power plant station. 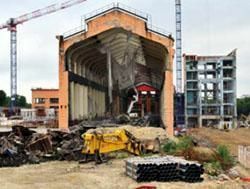 In 2003, Luc Besson (The 5th Element, Nikita, Lucy, Léon: The Professional, The Big Blue...) presented his great inspiration project for constructing a cinema city on the site of a most recent power plant station in Saint-Denis-Pleyel. His project portrayed his vision of a cinema city where “action” meant having every facility for making a film and transforming the art deco style building into a new most incredible shooting complex. It unleashed a vast potential for all demands of film making from production to distribution. In his cost-estimate project he anticipated filming studios, theatrical stages, offices in order to accommodate all future film productions. Originally the power plant station was a thermal electric unit spot irrigating the railway system of the Parisian and urban public transport with electricity. The Cité du Cinéma built on and around 65 acres of land is an entertainment world offering all facilities to the film industry. 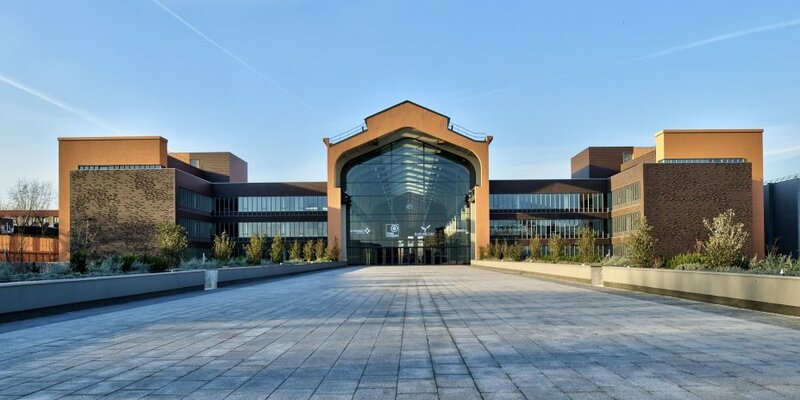 It is located 10km from the center of Paris in Saint Denis Pleyel. Luc Besson pioneered this innovative concept in France in the field of Leisure and Entertainment to boost the French film industry and attract foreign film makers and producers. The power plant station was not just a trivial site selection. Highlighted by views of the rich and developing world’s vital demands and prospects of innovation, research and production of energy adapted to personal and professional needs. This former “cathedral of electricity” turns into a “cathedral of cinema” reshaped by the willpower of the triple partnership of: the territory of Seine Saint Denis management, the Greater City of Saint Denis Community and EuropaCorp. EuropaCorp Company was created by Luc Besson to achieve his high-flyer project. Visit this page for further details to visit the Cité du cinéma organized by the Seine Saint Denis tourist board. Practical information to get to the Cité du Cinéma.